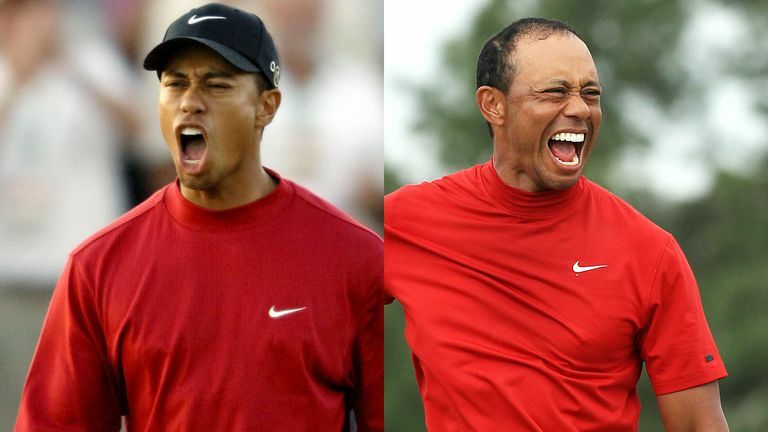 Tiger Woods has had plenty of opportunities to celebrate success during his lengthy career, although few moments matched his emotional reaction to winning the Masters. We take a look at why Tiger Woods' Masters victory is good news for the sport. Woods posted a two-under 70 on the final day to claim a one-shot win at Augusta National, tapping in for a closing bogey to secure the Green Jacket for a fifth time and the first since 2005. Victory was Woods' first major success in over a decade and moved him within three of Jack Nicklaus' all-time record of 18 major titles, with the win also his 81st on the PGA Tour and taking him just one away from matching Sam Snead's record total. The former world No 1 earned his maiden PGA Tour title in 1996 and holds many records for his successes, including the most World Golf Championship wins and the highest number of victories in the same event. After the 43-year-old returned to the winner's circle on Sunday, our Golf Channel colleagues took a trip down memory lane to collate Woods' reaction to winning all 81 of his PGA Tour titles. Click on the video above to see every Woods celebration!